When Did We Forget About Behavior? There’s nothing like a good UX conference, webinar, lecture or workshop. We UXers are a knowledge loving people, and we are always looking to expand our minds and get better at what we do. I’ve had the privilege to attend several of these learning opportunities, and learn I have. But there is one topic that rarely gets addressed, or at least doesn’t get addressed as much as I would like, and that is behavior. This thought dawned on me during BJ Fogg’s keynote presentation at Healthcare Experience Design 2011. He spent the entire time talking about how to influence and change behavior, and all I kept thinking is “Why don’t we talk about this stuff more?”. Now of course there are a few people in our field that try to pull us into the discussion. Stephen Anderson is someone that comes to mind right away as a behavior and psychology focused UX advocate. Whitney Hess also talks about this in her Design Principles: The Philosophy of UX talk. But the ratio of behavior discussion to physical deliverable and process discussions seems off (is it just me??). The problems that I see stemming from this imbalance is that we, at times, forget that it is behavior that we are trying to understand, utilize and manipulate. Behavior is the what, and understanding it is the foundation we need in order to get to the hows (sketches, wireframes, prototypes, etc). If we are not talking about behavior, then where is our foundation? And if we do not have a foundation, then how can we progress User Experience any further? 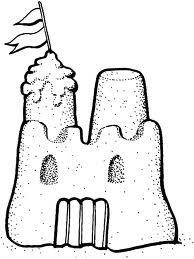 Without a foundation, UX is a castle made of sand, and it will surely crumble. Therefore, we need to start talking, thinking, writing and reading more about user behavior. We need to go out of our way to understand all we can about it and become familiar with the authors and experts that provide us with behavior insights. And, we need to look both internally for these resources as well as externally because many of the behavior experts are outside of our UX field. Once we are able to balance out our physical interests (the hows) with our conceptual base (the whats) we become more holistic designers. We will then be able to not only solve more complex problems quicker, but will be able to progress UX as a profession due to the firm foundation that we have created on which to stand. This is another facet to becoming more than just the people that document and design the interfaces (if you are happy doing that, that’s awesome… I’m serious). We become the user behavior experts, and have the rational and knowledge to back up our designs as well as our products overall. We become an even more important asset to our organizations and businesses, and we ultimately bring better solutions to our users. “We become the user behavior experts, and have the rational and knowledge to back up our designs as well as our products overall.” This is a great article about getting back to behavior. Run user-scenarios from real-life vs. what the marketing team determines is a good use case. I appreciate the behavior-side of UX. From an agency perspective, I wince watching the clumsy handoff to design. Designers don’t like to give away an ounce of their creative license especially to UX. On the agency side of the world, it’s a turf war. UX thinks, and Creative does! It’s a reality i’ve heard and witnessed at several agencies. One solution is to bring Creativ in to UX functions at the beginning stages of a project. Gather creative’s insights, and possible biases for a project at the beginning. It can be the difference between a project launch or lurch. I heard a creative director tell a UX, “…I’m a consumer, I know what the consumer wants. And they don’t want this.” He pointed to a one-page persona about the end-user. It was a qualitative research report about the target market’s buying habits. A primary research report based on crowdsourcing, live focus groups, and use-case scenarios. Yet the whole behavioral setup was shot down by one very defensive creative. So i see the base of the UX sand-castle resting on one arm of a three-armed scale – with creative and the account team being the other arms. I’ll save the account team/client follies for another rant. Behavior study is essential to UX in more ways than one. I think UX should study Creative behavior. But that could take a while. Great points indeed. I love how you have phrased this… thanks for the contribution! Sure. I realized I drifted off topic. A sign of a great topic is when it makes you think further and about other ideas! Great posts, keep them going.